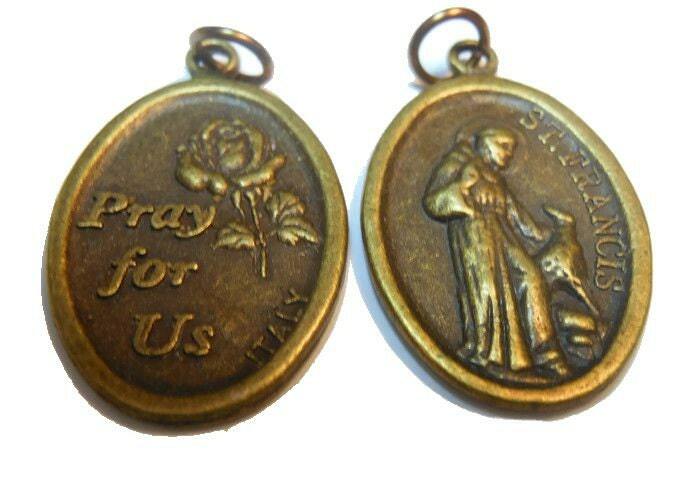 Saint Francis medal with pet Pray for Us in bronze with jump rings. Wear it yourself or on put it on your pet's collar, leash, crate, carrier or harness for protection. 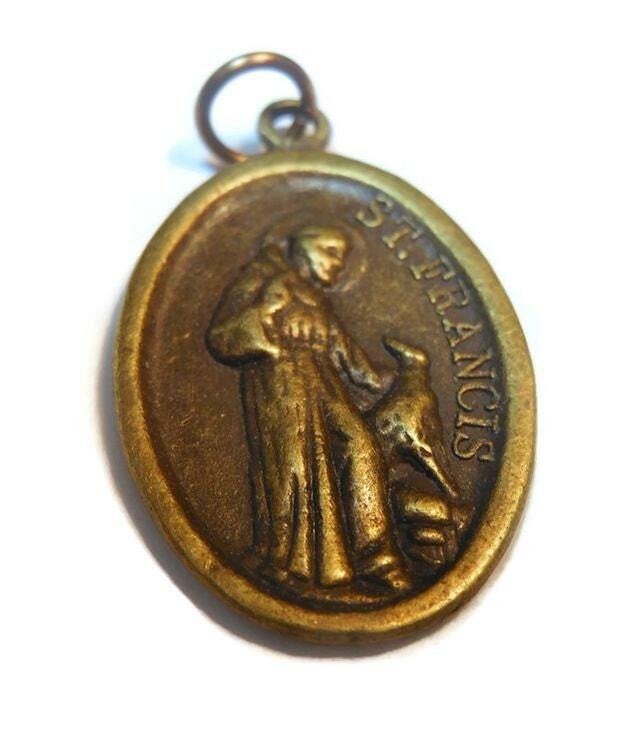 The medal measures 1" (2.5 cm) X 5/8" (1.6 cm) and is made in Italy medal is made in Italy. 2. Add on items only have free shipping in the United States when added on to a piece that offers free shipping. If you are out of country and your package is small enough to lower shipping, I will refund any difference over $1.00, after insurance. The three medals arrived so quickly! They are perfect for my three Chihuahuas, being so small! They look great! Beautiful tags for pet collars! Arrived early. Friendly service. Great quality and fast delivery time after ordering. It is home on my Pom's harness. Thank you very much!